Flat.C - B&B Italia's beautifully sleek modular wall system. Buy off the shelf, or design away! 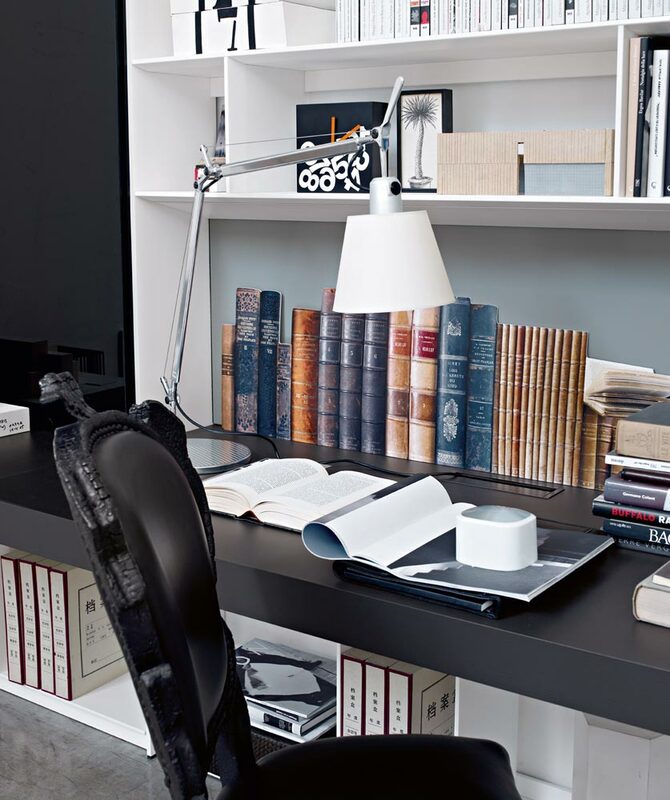 Listed here we have the standard FLC027 home office and bookshelves composition, with a 300 x 70cm desking area, sliding door to hide files and general open shelving with some contrasting back panels, finished in Bianco Gesso 9118E, Smoke Grey 3748E & Steel Grey 1340E satin lacquer and Black glass door front. "Lots of storage in the least space possible." This is the goal of Flat.C and B&B's leading designer Antonio Citterio. 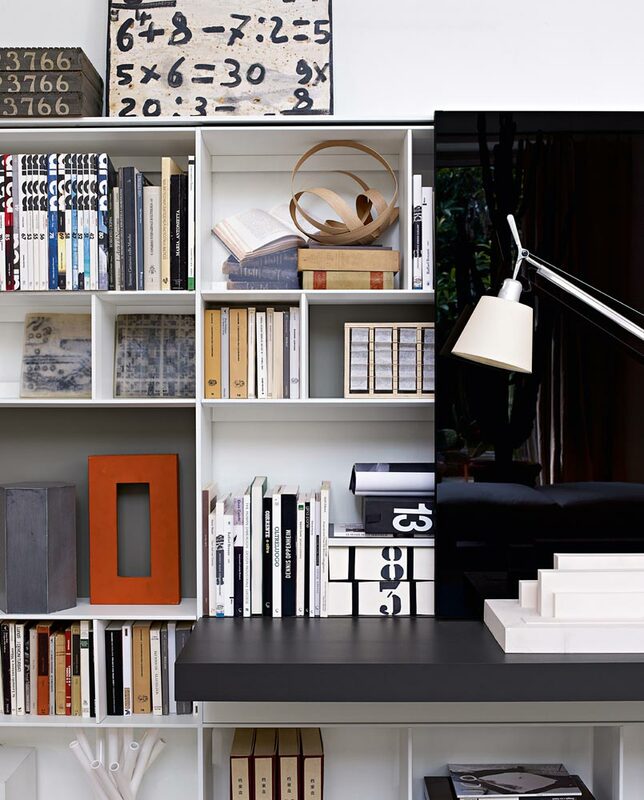 A bookshelf system that is only 25cm deep in the main but can serve to house a television, be a home office or incorporate plenty of deep storage space and angular shelves. The very nature of the tapered supports and shelving fronts makes for a beautifully sleek, easy on the eye style that can either be breath takingly striking or subtle depending on the satin lacquer, glass or metal finishes you choose. This is a very flexible modular system that can be drawn and added to, to meet your every need. Combinations can include decorative back panels, open shelves, deeper shaped shelves, drawers, cupboards, sliding doors and cabling features. For further details on lacquer colours (returnable samples available in return for a £10 deposit), custom combinations, space planning and installation advice please contact us by email at purves@purves.co.uk or call 020 3397 3723. Finishes: Standard B&B lacquer colours are available to download here.